Every time you turn on the TV, you may hear about a hot new diet that promises rapid weight loss and fabulous health. Let’s look at three diet plans that are getting a lot of buzz right now and see if they are healthy choices for you. The Paleo diet, also known as the caveman diet, is based on the idea that we evolved to eat certain foods and that to stay healthy we need to eat the same foods as our Stone Age relatives did. The Paleo emphasis on lean meats, fruits and vegetables agrees with current dietary best practices. It is also a big improvement over the typical American diet and has been shown to help reduce obesity and prevent diabetes and cardiovascular disease. However, the diet also leaves out some food groups that have proven nutritional value, including grains, legumes and diary. This isn’t supported by dietary research, and I don’t recommend it. So, if you want to eat like a cave man, go ahead. Just be willing to evolve a little to get all the nutrition you need. Imagine if you could use your own body fat to help you shed pounds. That is at the heart of the ketogenic diet, which promises fast weight loss. “Keto” is an extremely low-carbohydrate diet. It includes plenty of meats, eggs, processed meats, sausages, cheeses, fish, nuts, butter, oils, seeds, and fibrous vegetables. Excluded are breads, pasta, potatoes, rice, oats flour, sugar and fruit and alcoholic drinks. The diet’s low carbohydrate content causes your blood sugar levels to drop, and your body begins breaking down fat to use as energy, a process caused ketosis. Proponents claim ketosis leads to rapid weight loss. They also say it improves your energy and blood sugar control for patients with type 2 diabetes. Critics say the keto diet usually only works in the short term and can be unhealthy. Once your body enters ketosis, you also begin to lose muscle, become fatigued, and eventually enter starvation mode. This is particularly dangerous for people with kidney or liver conditions. Other negatives: keto can be heavy on red meat and other fatty, processed, and salty foods that are unhealthy. It is a very strict diet and hard to maintain, so people usually don’t stay on it for long, causing their weight to fluctuate. This is unhealthy and should be avoided. With so many effective ways to lose weight, you should say no to keto. Veganism is the strictest form of vegetarianism. You give up all meat, poultry, fish and animal-based products — not even eggs or dairy are permitted. Your diet is solely plant products, including fruits, vegetables, whole grains, legumes, nuts and seeds. Vegans who don’t eat enough essential nutrients can suffer from health problems, including anemia (from lack of iron) and bone fractures (from lack of calcium and vitamin D). Something else to keep in mind: veganism is not necessarily healthy. If you cut out all animal-based foods but eat lots of refined grains, chips, cookies, sugary drinks, French fries, and other junky foods, you can increase your risk for obesity, heart disease and other health problems. Your physician or a nutritionist can help you plan a balanced vegan menu so you can enjoy the benefits without the risks. If you are thinking of changing your diet, your MPCP doctor is a good source of nutrition information to help you make decisions that will keep you eating happy and healthy. 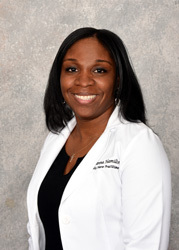 Tywanna Hamilton, Certified Registered Nurse Practitioner, is certified by the American Academy of Nurse Practitioners. She sees patients in the Arundel Mills office.